Data Analytics: What's the Hype About? There is no doubt that we live in a world full of data, and it’s multiplying at astounding rates. With the advent of the internet and our love affair with social media, the amount of data is increasing like never before. It is shocking if you stop to think about how much data is being created every minute of each day. From streaming videos, social media posts, online searches, emails and texts, to banking and payment transactions, the examples go on and on. A recent research study examined exactly how much data is generated every single minute of every single day across industries such as tech, media, retail, financial services, travel, and social media. The numbers representing the amount of data we produce every day are truly mind-boggling. There are 2.5 quintillion bytes of data created each day at our current pace, and that pace is only accelerating with the growth of the Internet of Things (IoT). It is surprising to know that 90% of the data in the world was generated just within the last two years alone. All in just one minute! These statistics prove the growing importance of having a data strategy. It is particularly vital for the success of financial services firms. Customer service: As technology evolves, consumers demand better support and service experiences that are driven by what financial institutions know about them. Data fuels modern customer service technology such as chatbots and smart speakers to provide fast and personalized service. Chatbots rely on keeping a history of data and learning from that data to support an intelligent, personal interaction with the end user. User experience: Fintech firms such as PayPal and Square, as well as bigtech firms such as Amazon and Apple are disrupting the financial services industry. These firms are built on user experience and use data to meet consumer needs in a unique way, engaging the end user, putting pressure on financial services firms to do the same. Operational efficiency: Data allows financial institutions to reduce the complexity of managing operations, determining how to save costs and increase revenue. Through the power of data, innovators in the industry are leveraging new technology for effective risk modeling and better data-driven decisions. Compliance: Advanced data processes can identify areas to help financial institutions with compliance. Large amounts of data can now be reviewed and accessed much more efficiently and quickly with an analytics technology to identify non-compliant processes or activities. Fraud detection and prevention: Data is crucial for effective detection and prevention of fraud. Proactive fraud detection in banking is essential for providing security against modern day fraudsters in the cases of account takeovers, money laundering and identity theft. The sooner a bank detects fraud, the faster it can restrict account activity to minimize loses, and data plays a vital role in this process. Personalized marketing: The key to success in marketing is to make a customized offer that suits the particular client’s needs and preferences. Modern marketers no longer market to a particular segment such as millennials or retirees, they now market to the segment of one, meaning each individual person. Data analytics enables us to create this personalized marketing that offers the right product to the right person at the right time on the right device. Now is the time to get started on establishing a data strategy for your organization. According to a Gartner Research report published just this month, by the year 2022, 90% of corporate strategies will explicitly mention information as a critical enterprise asset and analytics as an essential competency. To gain competitive advantage, financial institutions must acknowledge the crucial importance of data, integrate it in their decision-making process, and develop strategies based on the actionable insights from data. Start with small manageable steps to incorporate data analytics into your organizations operating models. So how should financial institutions get started? A recent study done by Deloitte recommends five steps toward creating a successful data strategy. Prioritize the areas of focus: Identify where data can have the greatest impact in your organization and obtain leadership engagement. Streamline your data: Provide an integrated view of high-quality data rather than siloed pockets across product lines of business units. A single, aggregated view of the end customer is key. Integrate with decision management systems: Accessing and collecting data is just the beginning. In order to achieve true insights, data needs to be plugged directly into a decision management system, or one that can analyze and interpret the data. Fight for talent: Develop a talent plan that builds on both internal employees and external sources such as vendor partnerships. Reach out to vendor partners for their expertise and guidance. 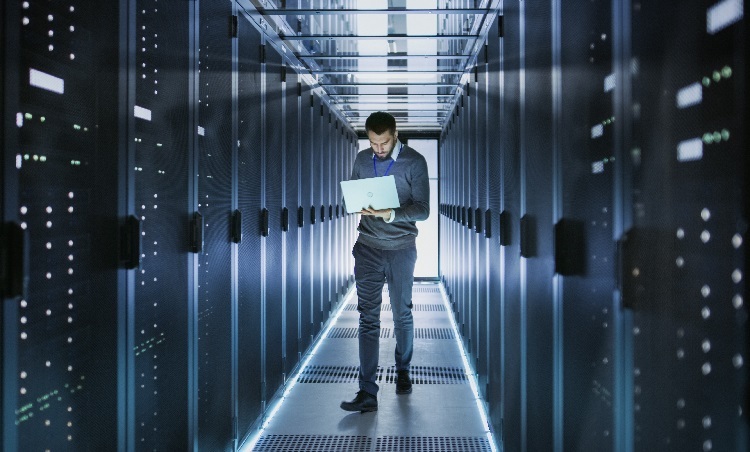 Make connections: Ensure the proper business units within your organization are communicating with one another and working in unison towards an overall data strategy. In summary, it's clear data will continue to increase in both quantities produced and in the complexity of its use. Now is the time; start small but just start. Financial institutions need to have a strong competitive differentiation in this area. Banking products are becoming a commodity with little differentiation as more fintech and bigtech firms enter the market. Community banks and credit unions are known for their superior customer and member support. Maintaining this position and combining it with clear data strategy will allow financial institutions to differentiate themselves by working smarter toward end user interactions, engagement, and lifelong retention.